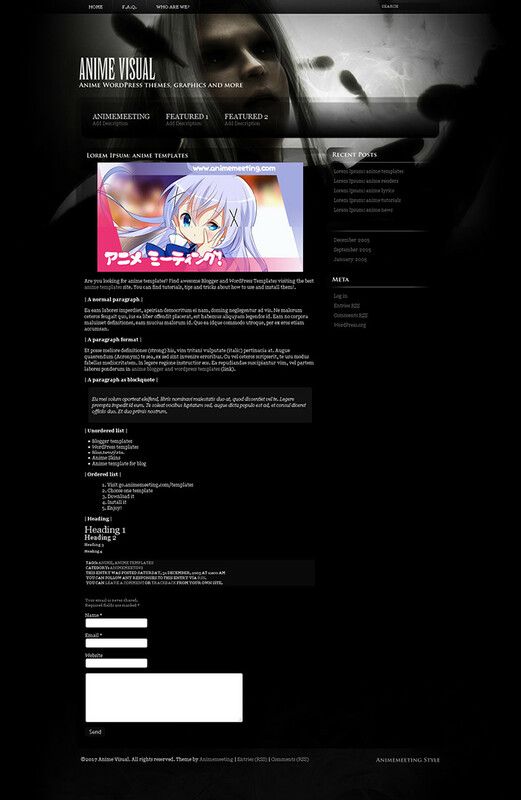 A new wordpress theme is done. Theme’s name is One Winged Angel. Its based on Final Fantasy VII Advent Children characters artwork. Extract the theme files from the .zip file. Using an FTP client upload “onewingedangel” folder to /wp-content/themes/ directory. Login to WordPress, select Design -> Themes. Then click on the One Winged Angel, choose Activate. Select Design -> “Visual Options” and customize the theme.